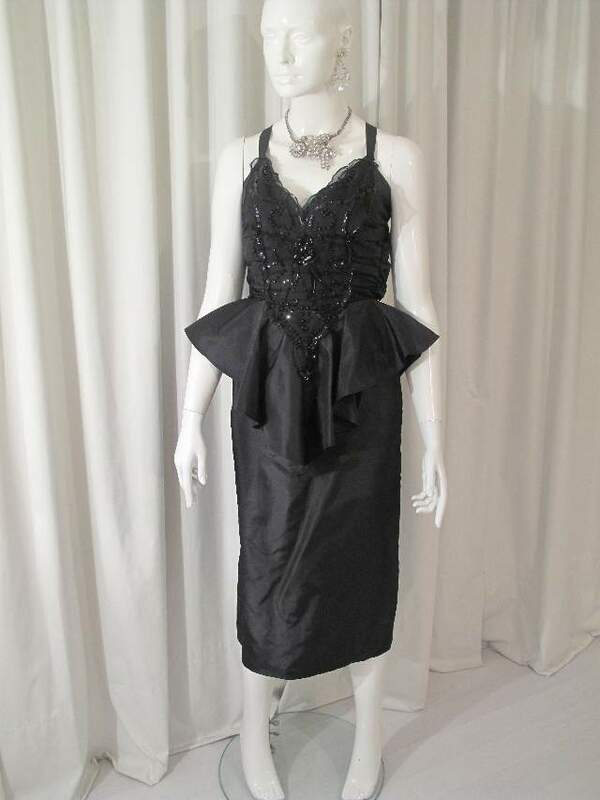 Late 1970's black taffeta beaded vintage cocktail dress. Fitted 'wiggle' dress with front and back pointed peplum and straight pencil skirt. 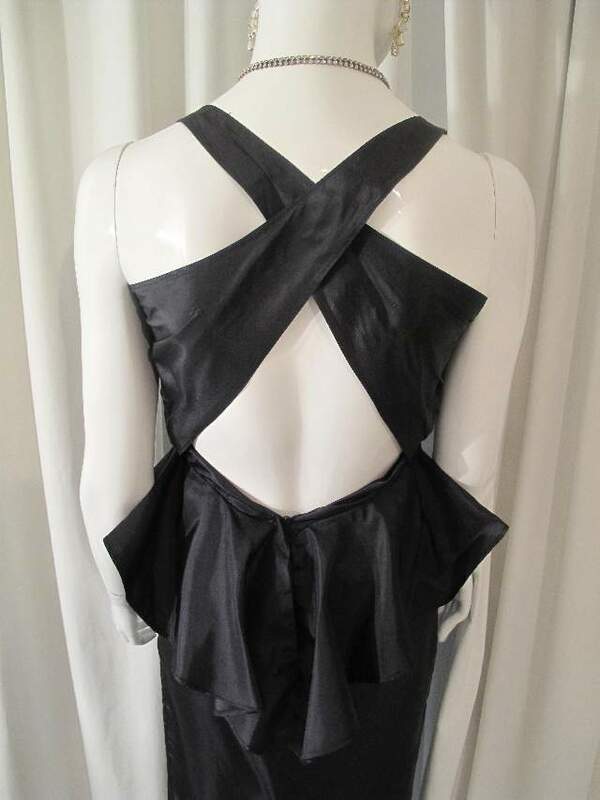 The dress has a low back and crossover straps. 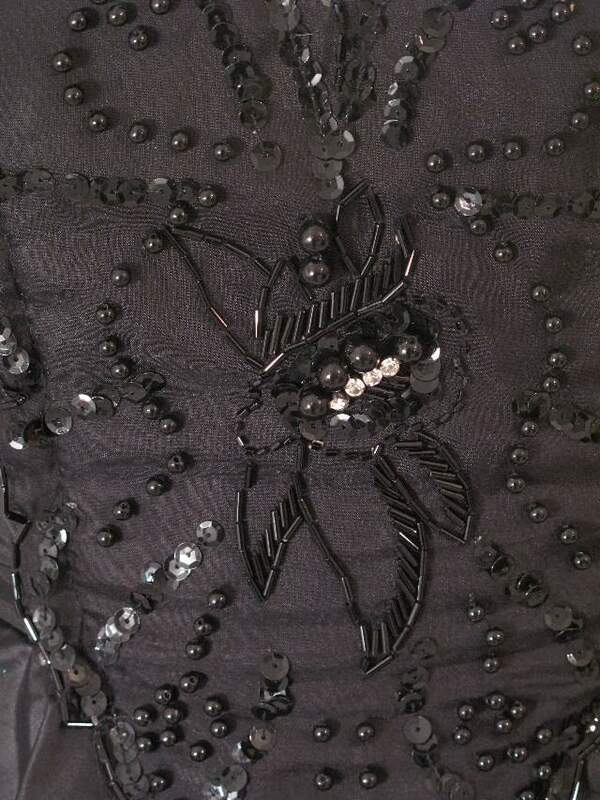 The bodice has side ruched panels and a centre bodice panel of chiffon beaded with black sequins, bugle beads, round beads and diamante. 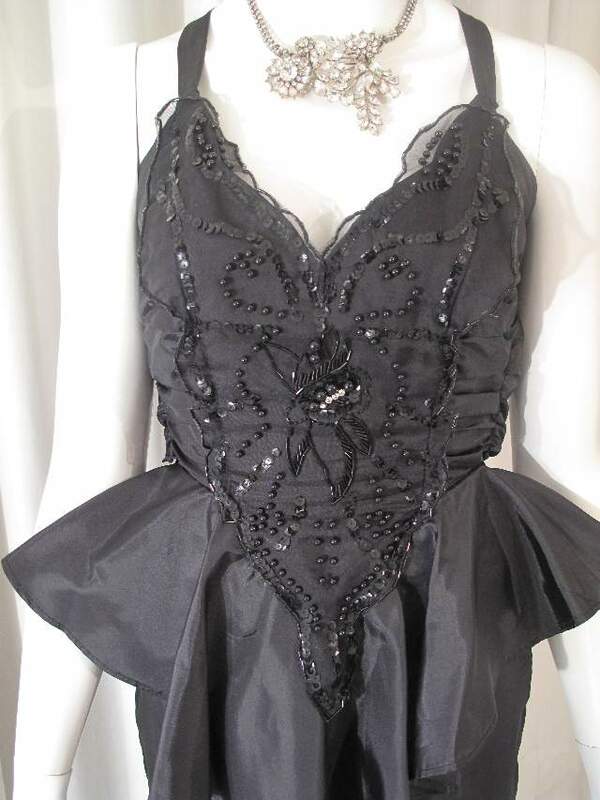 Very vampy ...........'.Rocky Horror' number!